Whilst the British are not famed for their culinary prowess, the city of London is fortunate to host some of the world’s very best restaurants. The likes of Marco Pierre White, Heston Blumenthal and Michael Roux Jr all have set-up eateries in the city. 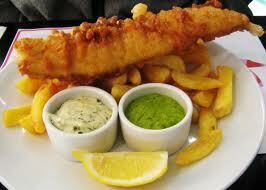 There is no doubting, however, that fish and chips remain a firm favourite for locals and visitors alike. Scott Wood from London boutique rentals business onefinestay guides us through his favourite fish restaurants in town, for a true taste of London life. Don’t be fooled by the shabby décor and rough-round-the-edges waiting staff as Covent Garden’s Rock & Sole Plaice serves up some of the finest fish and chips in the city. Established in 1871, the restaurant is thought to be the third fish and chip restaurant set up in the city. A battered fish dinner would cost you around £13, but the quality of the produce makes it all worthwhile. In its humble East-Central location, Kennedy’s is thought to have some of the finest chips in town. Their battered fish isn’t half bad either. If you manage to secure a table at lunchtime, be prepared to rub shoulders with plenty of locals. The restaurant is extremely popular with local taxi drivers; their cabs can often be seen parked all down the road in front of the restaurant. A sure sign you are at a fantastic fish and chip restaurant. Popular with the East London hipster crowd, this new fish and chip restaurant in Spitalfields, by Brick Lane is a firm favourite with visitors to the area. Poppies were recently nominated as a national fish and chip champion finalist, so make a reservation for busier periods if you can. Even the waiting staff are dressed in a 50’s kitsch style to recreate the atmosphere of a good ol’ traditional fish and chip shop. While it wouldn’t be recommended to eat fish and chips on a regular basis, a trip to London simply isn’t complete with taking a trip to one of these restaurants. If you have travelled to London and experienced a great fish and chips, please leave it in the comments below! It’s in mid clubbing season right now, with many groups of friends heading out to the likes of Zante, Ibiza and Crete. These destinations are popular for stag and hen dos, end of school and birthday parties. However, probably one of the most popular places to visit is Playas de Las Americas in Tenerife. Extremely tourist friendly with a great range of cheap restaurants and cafes to suit any taste, makes this a perfect place to consider if you are planning a clubbing holiday away with a group of friends. A lot of travel agencies try and lure you into overpriced holiday deal packages, claiming that you are saving if you book with them. Sometimes this is the case, however to make sure you are really making a saving – it is worth in this case to book flights and accommodation separately. Especially around this time of year with increased demand, hostels and hotels try and squeeze as much money as they possibly can from your pockets. A way to go about saving money is to actually book private holiday accommodation, which can be conveniently found through Wimdu. We aren’t talking about cramped hostels here either but about real stylish apartments that you and a group of friends can rent out. Just think – no annoying cleaners banging on your door in the morning while nursing that hangover from the night before. Playa de las Americas is known as the party capital of Tenerife, as there are festivities constantly going on 24/7. If you are looking for somewhere quiet and relaxing, perhaps this is not the best holiday destination choice for you. 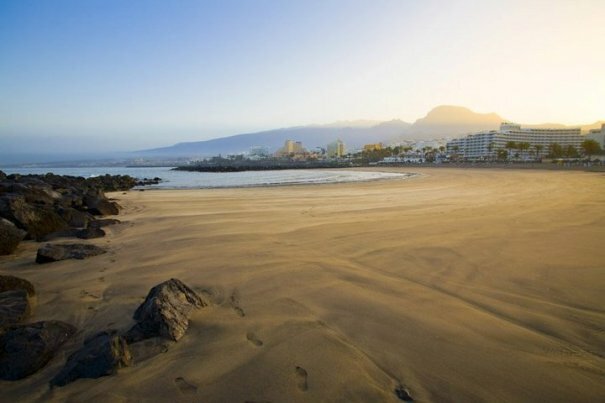 If visiting the beach is one of your main priorities whilst on holiday, Playa de las Americas has some fabulous beaches for you to soak up some of those rays! Once the night comes though, be sure to head to the Patch, Veronicas and Starco Commercial Centre to witness the crazy party life in Tenerife. The happy Canary Islands are a paradise for anyone who loves the sun, and a trip to this beautiful archipelago should be part of everyone’s itinerary. This magnificent island can thank its landscape to volcanic eruptions which cooled down to sculpt this islands, and its beaches consist of stretches of golden sand that kiss the feet during a stroll close to the shoreline. The beautiful pristine waters in islands such as Fuerteventura are a mecca for anyone who enjoys water sports such as surfing. The streets of this city have great roads and communication system, which means that the traveller can get lost in this tropical paradise, without literally getting lost. Legend has it that this group of islands were once Atlantis which in ancient times was referred to as the land without sorrow, and on a visit to this island, you will clearly understand why that name has stuck with it. The place is a splendid location for anyone who would like some sun and fun where they can enjoy themselves with all the people that they love. The Canary Islands is a very popular destination and because of this, there are very many people who would give a lot for a Canary Islands holiday. 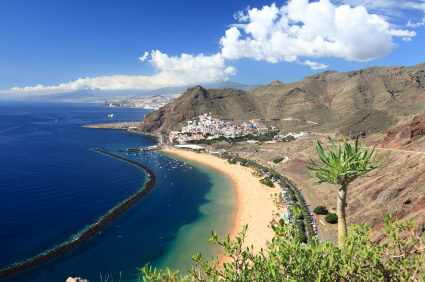 As a traveller, you can make use of deals and experience the illustrious history of Tenerife through a holiday to Tenerife, or marvel at nature’s ingenuity with a Holiday to Lanzarote. The accommodation in the Canary Islands is quite exotic and luxurious and the scale of comfort is unmatched in any other holiday destination. The dishes are also tantalizing, and they will give the traveller a sneak peek into the history as well as culture of this civilization. The delicacies are a mix of African and Spanish dishes, and they offer the best of both continents in a unique blend that will leave your taste buds craving for more. Everything in this island was specifically designed to help you relax and have fun with friends and family, and with the sun smiling down on you throughout the year, you can be sure that this island fulfils its purpose. A Canary Island holiday will excite your senses with its magnificent sights, its beautiful sounds, its exotic tastes, its relaxing feel and its refreshing tropical fragrance. A last minute deal will enable you to bask in the glory of this famed island at a bargain price so that you can enjoy a stress-free holiday at a price that is reasonable and affordable. If you are booking flights to Las Vegas, one of the most vibrant of cities, you are going to want to know the best places to hang out. There are literally hundreds of bars in Las Vegas. Deciding where to partake of your favourite beverage is simply a matter of preference. Walking down Las Vegas Boulevard, your senses will be in overdrive as you witness the lights and sounds of natives and tourists alike buzzing with the anticipation of what the night holds. Bars line this street and many of them are worth taking the time to in which to relax. The younger generation may want to sample the exhilarating atmosphere of Coyote Ugly – a brand so well known one is opening in Russia. 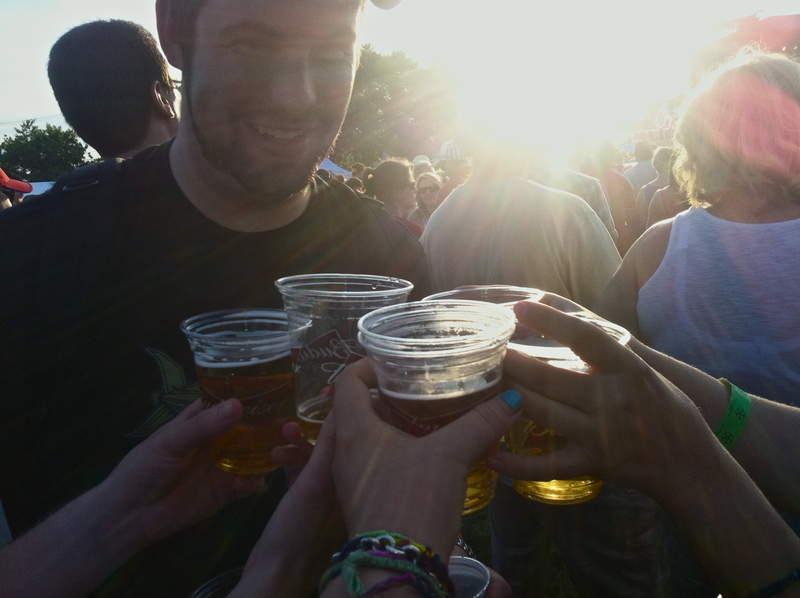 ‘Hogs and Heifers’ is geared more towards ‘Rock’ lovers and offer several ways to let your hair down. The proprietor also raises a lot of money for different charities and it’s well worth a look if you are not easily offended. If it is a burger bar you are looking for, Mandalay Bay offers the finest ‘fast food’ experience in Las Vegas – but don’t expect the same kind of sandwiches ordinarily served by the larger burger houses. The eating experience here will be of a higher, more tailored standard and the expense is worth every bite! McCullan’s Irish pub has an extensive menu and caters for children. Their prices are good too and their calendar is full of different events from live music to sports evenings. If a family friendly bar is top of your list, do give McCullan’s a visit. Las Vegas is perhaps the only place in the world where all of your desires can be met. Whatever your drinking or dining preferences, this is a city where anything goes. You can find ‘Rock’ bars, ‘strip’ bars, themed bars, cocktail bars and family run bars within a stone’s throw of each other, which will make your stay one of exciting choices. The only drawback is that finding a small, intimate place to share a bottle of wine is not easy but people who choose to fly to Las Vegas rarely want a sedate holiday. The ‘Downtown Cocktail Room’ is perhaps the closest you will get to enjoy an intimate drink. This bar has a few dark corners in which to sip improvised cocktails and chat about the days events. It is away from the main strip, so is a little quieter. In a nutshell, when you land at McCarran International, you enter a different world and once you have checked in at your hotel, this city waits for you to explore its many diverse casinos, restaurants and bars. It would be a disappointment to come to Vegas without experiencing a drink or two at one of the casinos – the excitement of an impending win is infectious and who knows? You may get lucky. Before the flight back home, it could be fun to see how many diverse bars you can visit. You will not want to spend much time in your hotel room when you visit Las Vegas – there is simply too much to experience! Many families and couples have begun looking for alternatives to traditional beach vacations for their family get away this year. 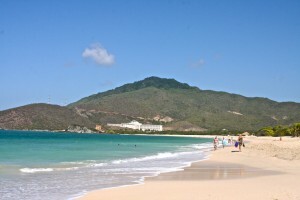 Cruises offer a fantastic alternative to what is typically an expensive and difficult to plan trip. When choosing to cruise for your vacation, most of the tedious planning is eliminated altogether. You will have most of your meals aboard the ship, leaving you only to decide when and what delicious dish you would like to eat! There are several different restaurants aboard Coral Princess Cruises, ranging from grill-style, relaxed dining to extravagant steakhouse quality dinners. Room service is even available twenty-four hours a day if you prefer a more personal meal in your quarters. There are also multiple bars and activities aboard the ship, so you will never be bored for lack of things to do. Most activities are included with your cruise fare and nothing more than showing up is required. This is a favorite aspect of cruises for many families who find planning individual activities on traditional vacations to be both expensive and complicated. Another wonderful element of cruising is the many places you will visit while on board. Most cruise plans make multiple stops along your journey, allowing you to experience several destinations. This gives you an opportunity to find new places you might visit again at a later date, or simply to see more of the world than staying stuck in a hotel in one city on a traditional vacation. Cruising is not only enjoyable and relaxing, it’s economical as well! The beautiful décor of the Coral Princess appears more as a five-star resort than a ship. Most meals and activities are included in the total price of your trip, reducing the amount of unexpected expenses you might incur planning meals and activities on a standard vacation. Food aboard cruise ships is well-known for being high-quality. You can choose to eat at the pizzeria for dinner, or have a lavish dinner in the main dining hall – something that might have cost you several hundred dollars at a land-bound restaurant! The entertainment on cruises is also notoriously fantastic. There is never a cover charge at the martini bar or cigar lounge. You may also choose to take part in ship-coordinated activities that are typically free of charge. The Coral Princess even hosts a world-class art collection and museum on board! Whether you are cruising alone or as a family with children, there are activities and facilities to suit your needs. For kids, there is both a kids and teens club aboard where children can interact and participate in fun activities. These can include just-kids swimming hours, scavenger hunts, and special late-night movies. For adults, there are multiple bars and lounges, as well as a full-service spa, to interact with other cruise goers or just simply relax and enjoy! Parents can leave children at the kids club for a few hours, knowing the little ones are in good hands so they can also enjoy all the ship has to offer! Cruises are a great option to consider if you’re looking for something a little different to do this year for vacation. The Coral Princess offers something for everyone at an affordable rate for a no-fuss get away.